The Facebook image of the week, is of Hutta. The artwork in this image is just beautiful, well for being a planet that is polluted, and skies are filled with a sort of smog-like haze. This week we get a preview into the down-trodden lives of locals living on Hutta. In the image, you can see a make-shift village of the natives, called Evocii. 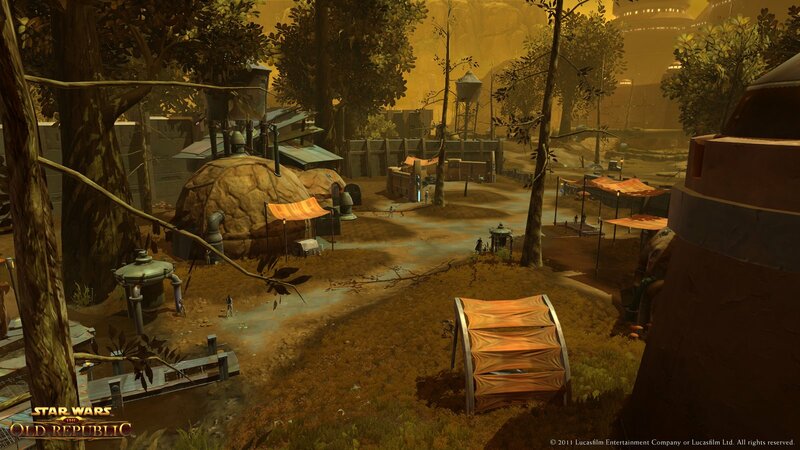 These people, according to the Star Wars: The Old Republic Facebook page, have been forced to live in these “shacks,” after having their land taken from them, by the Hutts.